I’ve known about the TSP brand for decades, as it was always quite popular here in Australia, particularly for their blades and pimple rubbers. The company is officially called Yamato Takkyu Co., Ltd., and includes both the TSP and Victas brands. It is run by Mr Koji Matsushita, a well known and world class defender, I’m sure some of you have heard of him, or at least about some of the blades that carry his name. rand Victas, so some of the question below relate to this as well. Questions are created by myself and other members of OOAK Table Tennis Forum. Many thanks to OOAK Forum members for posting these questions! I’d like to publicly thank Mr Koji Matsushita and his staff for all the time and effort they spent, giving us these detailed answers! Alex: TSP appears to have one the greatest range of rubbers for defensive players. What’s the history behind this? Will this still be the case in the future? TSP/Victas: On one hand this results from our president Koji Matsushita being a defensive player himself during his active career. On the other hand, many manufacturers neglect material for defensive players, but we think this is a very important part of table tennis and want to offer top gear for defenders as well. Alex: What inspired TSP to cater to majority of pimple players instead of the inverted players? TSP/Victas: In fact this evolution was not planned by TSP, but since most of the famous pimples out players (Liu Guoliang, Wang Tao etc.) were convinced by our products, TSP got this image of a pimples specialist, which is still present to this day, due to the many top players which still use Curl, Spectol and Super Spinpips. Alex: What is exactly the connection/relation between TSP and Victas? Since TSP is already regarded as a high quality brand, what necessitated the new brand VICTAS? TSP/Victas: Both brands belong to the same company, which is called Yamato Takkyu Co., Ltd.
We are the oldest Japanese table tennis manufacturer with a history of 82 years (founded 1932). The premium brand VICTAS was founded in 2011 by the president of Yamato Takkyu Co., Ltd., former world class defender Koji Matsushita, in order to have a brand completely focusing on the demands of top players. TSP on the other hand offers products for a broad range, from beginners to pros. Alex: After Koji Matsushita left TSP to become head at Victas, are there other top defenders in the team to advise and help with new innovations? What’s the link between Koji Matsushita and TSP now? 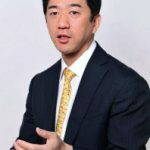 TSP/Victas: Koji Matsushita did not leave TSP for VICTAS. In fact both brands belong to the same company Yamato Takkyu Co., Ltd. and Koji has been the company president since 2010. Besides Koji himself the company has a network of hundreds of top players all over Japan and abroad. The most notable among the top defenders might be our contract player and Japans rising star Yuto Muramatsu (unfortunately he had to undergo an elbow surgery this spring and therefore could not take part in the WTTC in Paris) and Masato Shiono (US Open and Czech Open winner). There are also many former world class players among the TSP/VICTAS staff, e.g. Seiji Ono (Singles World Champion 1979), Kinjiro Nakamura (Barcelona Olympics 1992 at the age of 17). Alex: What is the expected ‘shelf life’ of a rubber (how long can a rubber be kept on the shelf of a retailer (or a customer) before the rubber starts to deteriorate)? TSP/Victas: This is hard to determine. First of all this depends under which conditions the rubbers are kept. Under good conditions classic rubbers (non tension) can be kept for several years (5 or more), without losing performance. The lifetime of tension rubbers cannot be clearly determined, because depending on tension technology and generation there are big differences. Nevertheless the lifetime of tension rubbers on the shelf is definitely shorter than the one of classic rubbers. Alex: Are there special ‘Pro rubbers’, not normally sold to the public, that are optimised for your sponsored players? TSP/Victas: In Japan “fair play” is a very important issue for both professional and amateur players. Therefore we provide our contract players rubbers that are not “specially treated”, and normally sold to the public. The only exception are individual requests regarding sponge thickness and hardness. Alex: Butterfly Tenergy has been a very successful new rubber on the market, and a lot of other manufacturers seem to have created rubbers with similar characteristics. Would the new Ventus rubber be the best option (from the TSP range) for players that like rubbers like Tenergy? TSP/Victas: The new Ventus rubber has received a very good feedback from our test players so far. It combines Japanese rubber know-how with German manufacturing technology. Among the current TSP lineup it is surely the best option for players who like rubbers like Tenergy. Alex: What’s the added value of the new TSP Ventus series compared to other tensor or high tension rubbers? Is it true that sponge is from ESN? If so, how will collaboration with ESN will look like in future? TSP/Victas: The Ventus rubber has been developed by a huge team of Japanese and German scientists and players. The difference to most of many other tensor and tension rubbers is that, although it is Made in Germany it has typical Japanese rubber characteristics such as good friction and spin (no slip), and a longer lifetime. Furthermore the Ventus offers a great arc for Top-Spin balls that many other tension rubber cannot offer in this form. Above all that we did our best to keep it reasonable so I am sure that Ventus will be the rubber with the best price-performance out there. We are very satisfied with our cooperation with ESN and hope this will continue and even get better. Alex: Are you planning to make a Long pimple rubber with the P-1R top sheet and P4 sponge? TSP/Victas: There are no plans for such a rubber. We have tested a lot and came up with a new top sheet, which is similar to the P-1R but slightly different and delivers the best performance in combination with the soft P4 sponge. Alex: What’s the origin of the name ‘Curl’ in the curl-series? TSP/Victas: At the moment of ball impact the long pimples snap and sort of “curl” around the ball. So it became “Curl”. Alex: Are you planning to release and design more alternate short pipels like the successful Spinpips series? How many new pimple rubbers are you going to release? My coach told me that TSP designs the best pips in the Euro/Japanese market. TSP/Victas: Actually there are some new pimples out rubbers under development. I hope you can understand that any details are still classified. Our pimples out know-how has also been used for the two new VICTAS tension pips out rubbers VO>101 (horizontal pimple geometry – like Spectol) and VO>102 (vertical pimple geometry – like Super Spinpips). Your coach is actually right ?. The fact that top pimples out players, who have contracts with other manufacturers, come to us for our pips out rubbers is the best prove. Alex: How do you pronounce some Victas products, e.g. “V>01 Limber”? TSP/Victas: There is no “rule” as such for the pronounciation of our products, but in Japan it is common to say “V zero ichi” which in English would be “V zero one” or “V o one”. The “>” mark is usually not pronounced. Alex: I like TSP Besty blade very much. Does TSP think they did something special with this blade compared to others on the market? Did they produce some similar blades? TSP/Victas: Besty is indeed a popular blade in Japan. The concept of this blade was to create a light carbon blade, which is very fast, but still offers good control. Due to the combination of flexible Aramid fibers and classic Carbon fibers, Besty has a slighly less stiff ball touch than classic Carbon blades. Similar blades are TSP Campione, Lepard and our classic, Hino-Carbon Power, or VICTAS Firefall AC, Quartet Speed. Alex: Do you have many blades still made in Japan? In the latest TSP catalogue it can be seen only very few of the shakehand blades is made in Japan. TSP/Victas: This a matter of production capacity and labor costs. It is true that only few shakehand models are Made in Japan. Since these are handmade, the production effort is immense. Our Japanese penholders are still produced in Japan. Nevertheless there is no reason to worry about quality, since our blades, which are – for example Made in China – are made outside of Japan, but Made “by” Japan. In other words the production process is managed and supervised by Japanese, wood material is sent from Japan and the quality control is also Japanese standard. Alex: How are decisions made on when to discontinue a blade? It seems that quite a few are missing from the latest catalog, does this mean it’s discontinued? TSP/Victas: First of all, if a blade does not sell anymore it will be usually removed from the lineup. Another reason to discontinue a blade is, due to constant development and testing we come of with new products which are improved version of existing blades and eventually replace them under a new name. Alex: Do you have any plans to sponsor players directly in Australia? What would be the requirements of a player to get sponsored? Would they be required to only use TSP equipment? TSP/Victas: We have a few Australian players, which we support with material (e.g Miao Miao). At the moment there are no concrete plans to directly sponsor players in Australia. There are no strict requirements for sponsoring, but to be considered as contract player candidate international ranking and potential for further development are important factors. We are also focusing on younger players, which we can support in their development. Alex: Regarding the new plastic (poly) balls, does TSP have a design or source for new plastic TSP balls yet? Will you continue to make celluloid balls? Have they been tested with your current rubbers? Do you plan to design any rubbers specifically for the new balls? TSP/Victas: Yes we have a prototype for the new plastic ball. Of course we testing a lot with it in order to find out everything about its characteristics, which might also lead to new rubbers, specifically designed for the new ball. Until the celluloid ball is not forbidden I am sure there will still be a demand and therefore we will continue to produce celluloid balls. Alex: You have a large range of defensive products, are you planning to make any new defensive products, like new pimples or new inverted for classic or modern defense? TSP/Victas: Under our premium brand VICTAS, we have released the VS>401 rubber and two new Koji Matsushita blades (Defensive and Offensive). 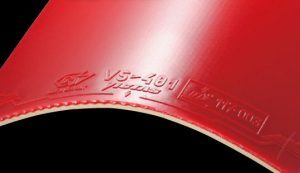 VS>401 is a slightly sticky rubber with a very hard sponge, developed by Koji Matsushita himself specifically for the requirements of modern choppers. The new Koji Matsushita Defensive offers more control than you can ever get for your defensive game, whereas the Koji Matsushita Offensive is designed for the aggressive chopper who wants to use any opportunity to surprise his opponents with counter attacks. Since the game itself is steadily evolving and the new plastic ball will have an impact, we will always continue to develop products that satisfy the needs our players and customers. 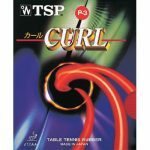 Alex: Shiono was the first defender since many years to win a world tour tournament, using TSP Curl P4 0.5. Can you tell us more about him and his relation with Koji Matsushita and with TSP now and in the near future? TSP/Victas: Of course we are happy that Masato has finally had his international breakthrough. He was known as a good player in Japan for many years we are also glad that he uses Curl P4. There is no special relation between Koji and him, except that both are choppers and both use P4. There is also no special relation between him and TSP at the moment, though this might change in the future. Alex: To what extent is Shiono’s win (and broader: the successes of other top defenders like Joo SaeHyuk using TSP) a commercial opportunity/boost for TSP? TSP/Victas: It is good for the sport to have more top defenders, because it is always nice to watch strong choppers. Of course it has a good promotional effect for us as well, if the worlds best defenders use our products, but even without that, many defensive players already know about the quality of Curl. As we are already very present on the pimples out and long pimples segment, we want to grow in the other product categories. OOAK Table Tennis Shop is the sole distributor for TSP and Victas in Australia. A frank and detailed interview with Mr Koji Matsushita about TSP and Victas, two popular table tennis brands from Japan. He shares his thoughts about current and future products.